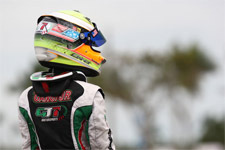 GT7 Motorsports, along with team driver Dylan Tavella, will make a return trip to the Homestead Karting Complex this weekend to take on the Rotax Micro Max class of the Florida Winter Tour. 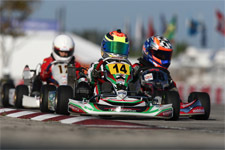 Tavella made his first start at Homestead this past weekend in the Florida Winter Tour Formula Kart calendar of races. 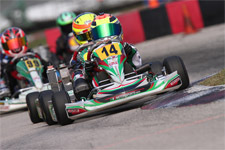 Tavella competed in the very tough Vortex Mini Rok class, a new program for the up and coming cadet racer. 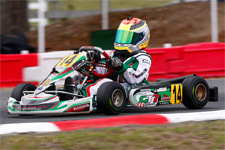 The GT7 Motorsports team used the TaG weekend as a warm up and test for the Rotax weekend. This was especially important for Tavella who had never turned a lap at the challenging South Florida venue. Working with tuners Bob Radivoy and Gary Willis, the nine-year-old racer ran strong all weekend as he learned the track and worked on the Mini Rok package. "Overall not a bad weekend for our first trip to Homestead. Dylan is still lacking some speed in the Mini Rok and needs to be more aggressive given the older age of some of the drivers he competes against in that class," commented Phil Tavella, GT7 Team Principal. "We are really excited to be back in the Micro Max this weekend. Dylan is very comfortable in that class and really has a good shot a winning each time out." In Saturday morning practice Tavella would go 13th on the speed charts and followed that with a disappointing 16th in qualifying. In the prefinal Tavella was caught in several on track battles and could only muster an 18th place finish. In the final Dylan was able to grab back a couple of spots to take 16th at the line, running all the laps as he continued to gain speed with each session. On Sunday the team tried some changes and Tavella was able to grab 14th place in timed qualifying. The prefinal was another difficult race as drivers jockeyed for position and Tavella slipped back to the 16th spot at the finish. In the final Tavella charged forward early getting as high as sixth before having to avoid an incident and losing some spots. That put him back in the field, but he was able to battle forward to secure 11th at the line. This solid set of results puts Tavella up one spot in the championship standings to sit in 15th place. "The Homestead track is very tricky and I'm glad we came to race Mini Rok this weekend. It took a few sessions but I think I have the track figured out," comments Dylan Tavella. "Definitely this was really good preparation for the Micro Max race. 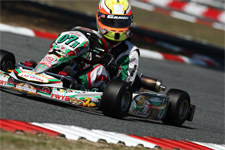 I can't wait to get back in the kart this weekend." 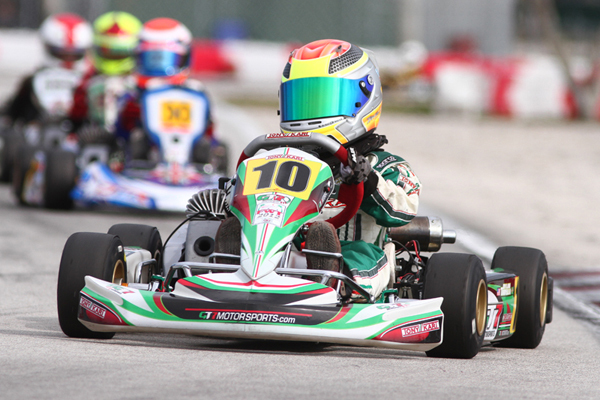 Tavella and the entire GT7 Motorsports crew will be on hand at the Homestead Karting Complex for the Rotax weekend of classes. 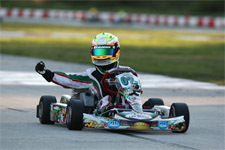 It will be a return to the Rotax Micro Max class for Tavella and Rotax Mini Max for teammate Anthony Gangi Jr.